Jensen is a tough Marine, tough but fair. Unlike many others, Jensen does not follow the rule of Absolute Justice and follows his own personal brand of it. His view on justice sometimes gets him into trouble with his superiors; as he will often turn a blind eye to a pirate if they have shown their worth, however he will only give them a head start never completely letting them off the hook. He is quick to anger, if anyone insults his beliefs or the Marines; he tends to show them just how terrifying one can be. His short temper leads him into difficult situations; he will often speak out of turn and question his leader’s orders, if he believes them to be wrong. Jensen is dedicated to the pursuit of global justice against criminals and pirates; he will not forget those that forsake the law and manage to escape his grasp. Although he firmly believes in Moral Justice and recognizes that not all marines are as noble as their image suggests, nor should all allies be trusted blindly. Jensen is a stubborn man; once he has gotten something stuck in his head it is almost impossible for anyone to change his mind. Thus when he decided when was going to become a marine at the age 6, ten years later he became a marine. Despite his seemingly cynical nature, he will often go out on a limb for someone he trusts whether they are a pirate or a marine; as soon as he deems someone to be a friend or an enemy, there isn’t anything that can change his mind. Jensen is a very perceptive individual and has an excellent memory; he never forgets someone’s face after he has met them. His memory borders on the lines of eidetic; he is able to recall the smallest detail of an event. Although he will not remember everything about the event, for instance he could remember the face of every pirate he has ever arrested but not their name. His memory isn’t based purely on visual imagery. He can also remember the sound of a sword as it is unleashed and then tell the difference between that and a different sword. Standing at six feet tall, Jensen is of reasonable height for a normal sized man and weighing in a little over 170lbs; he is reasonably light for his frame. Coming from north blue he has a somewhat typical Caucasian look; with blonde hair and piercing blue eyes. His hair is cut short as to avoid getting in the way of his vision during combat. His sideburns come down to his jawline and a small blonde beard grows out from his chin. Although his frame is slight, the muscles beneath his clothing are well developed. He has but one scar that blemishes his otherwise perfect body, it runs from the underside of his jaw up towards his left cheek. When on duty he wears a sleek white Marine’s long sleeved shirt with a small insignia on the left side of his chest, accompanied by a slim fitting pair of dark trousers and a standard pair of black leather boots. His attire doesn’t alter much when he is off-duty the slight difference being his Marine shirt is replaced with a plain shirt of similar design; regardless His shirt is almost always left half un-done, showing off his chest below. His left eyebrow bears a single stainless steel eyebrow bar. On his right ear he has a simple silver hoop. Nineteen years ago, on a dark and stormy night. The thunder crashed and the waves surged forth like foaming white stallions, it surged up the beach. Thrashing around and trampling anything in its way, only chaos and destruction were left in its wake. In this cacophony of terrifying sounds a doting father to be was pacing up and down in the hallway of his home. The shrieks and screams of his wife were the only sounds he could hear, the midwife encouraging her; as if she were being cheered on. The doting father continued his pacing, back and forth, back and forth. He had already walked miles in one night, continuing on his almost marathon like journey to nowhere. He had worn an oval like imprint on a rather opulent looking carpet. Swirls and diamonds covered the floor, intertwining into a mass of elegance. The serenity gained from staring at the carpet was fleeting, like smoke in the wind; it was gone as quickly as it had arrived. Interrupted by another scream of agony; more encouragement followed. The would-be-father lit up what must have been his 40th cigarette of the day; he took a deep breath and let the fiery smoke fill his lungs, before letting it slowly escape from his nose. He would have sucked it down to the filter, if it hadn’t been for one last cry of pain and relief echoed out over the tumultuous rumbling of the thunder. An ear-piercing cry of a new-born child seemed to command the thunder to quieten and the waves to settle. The clouds parted and the moonlight shone down upon the town of Lvneel for the first time in what seemed like an age. However the worn-down looking father was entirely oblivious to what was happening outside. Instead he burst through the door; almost taking it off its hinges and knocking over the midwife as he flew towards his beloved. The years rolled on and Jensen had lived in the lap of luxury; his young life had been filled with the best of the best. He grew up on the small island of Lyneel; where very little had ever happened. This small island was a safe-haven from the wicked world of pirates; despite Gol D. Rodger’s Pirate Age had been around for seven years, there hadn’t even been the whisper of a gunshot. Jensen had grown into a small child; he spent many of his days reading. It didn’t matter to him what he read, he had the need to accrue knowledge and it was as if something deep inside him commanded him to read. This love of books, knowledge and the joyful pursuit of it was something that had plagued generations of his family before him. Some of them had become great scholars, others plunderers of the ocean depths. This unquenchable thirst for information would be something that dogged him throughout his life. However this thirst for knowledge was to become the least of his worries. One fateful day in the heat of summer, the young Jensen Gunnert was outside for the first time in several weeks, having been forced out by his parents. “Fresh Air will do you good.” Their words still rang in his ears, as he kicked a rock up and down the coast. 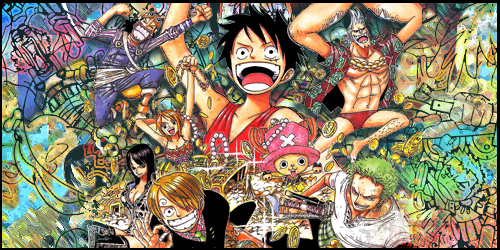 The vast ocean was a treasure-trove of adventure, from the grand-line to the red-line, Arabasta to Fishman Island. There were many weird and wonderful things in this world and Jensen had already emptied the library of his home learning of them all. Though what he regretted the most is that, that’s all that it may be; pictures on a piece of paper, nothing ever becoming real. Although he was young, cynicism was deeply rooted in his personality, his father often complained about never getting to travel the world and see its many wonders. Eventually his bitterness had rubbed off on the young child, his fathers rose-tinted glasses seemed to colour the grand-line as an almost serene sea where the righteous overcame all. This was a stark contrast to the actual life led by any who undertook the herculean task of sailing the grand-line. Those who kept order were the Marines, the very pinnacle of moral standing and those who opposed them, the scourge of the sea, Pirates. From the stand point of the young resident of Lyneel, the Marines were the very top of what a young man could become and the zenith of this group of individuals, stood the three Admirals. It was Jensen’s dream to become one of them. After spending what felt like an age outside and the darkness of night began to descend, it was odd that he hadn’t been called for by his parents. As the cold embrace of night continued to embrace his very soul, he walked back to his house. The lights were all out, from the outside it looked like no one was home. He entered through the front door, not even a whisper of a sound came from inside; silence was all that was there. The creeks of the floorboards underfoot broke the deathly silence. He continued to sneak through the house, he walked into the kitchen; expecting to find his mother sitting at the table across from his father. However what he saw was something that would scar him for the rest of his life. Red, red was all that he could see; blood covered the entirety of the kitchen. Splashes of the sanguine liquid trailed up the wall, with his parents cold lifeless bodies laid sprawled out on the floor. The blood was beginning to turn a darker shade of red, almost maroon; they had been dead for several hours. Tears exploded from the child’s face as the gravity of the situation seemed to squash him from above. He was all alone, an orphan in a world governed by people who were out of touch with their people, besieged by Pirates and full of corrupt officials. Would the young Jensen allow himself to be swept up in the politics and become just another layabout vagabond with no prospects? Perhaps he would become a Pirate and free himself of any responsibility. No, even now at his tender age, he knew that piracy was the choice of an idiot. He would become something far greater, more admirable, he would become a Marine. After enrolling into the Marines, Jensen was taught various forms of self-defence; from marksmanship to swordsmanship. He has a decent aim and relative proficiency with a sword, however where he truly excels is in hand-to-hand combat, scoring nearly perfect marks in all of his proficiency tests. He has no fixed style of martial arts as the marines have blend of many different styles; taking techniques from Karate, Boxing, Judo, Jiu Jitsu and Muay-Thai and mixing them into a blend of mixed martial arts.